Shazam. A home World Series game at Wrigley Field. First one in 71 years. Baseball history. The media storm has hit. The North Side of Chicago is the baseball center of the universe, in October no less. Hype abounds. In case you’ve missed it, the Cubs are appearing in their first World Series since 1945 looking to win their first World Series title since 1908.
Who was the President the last time the Cubs won a World Series? Let’s try 1945 for $200 please Alex. How many States did America have the year the Cubs last won the pennant? First televised World Series game in Wrigley Field. The first World Series games on TV were for the 1947 Fall Classic between the New York Yankees and the Brooklyn Dodgers. Of course. The first World Series night game at Wrigley Field. There were no lights at the Friendly Confines until August, 1988. Of course. The first black player from the Cubs in a WS game, take your pick, but Dexter Fowler leads off for the Cubs, so he gets the nod. Jackie Robinson broke the “color barrier” in 1947 two years after the Cubs 1945 World Series, so of course. Three new records are guaranteed to be set, one every day this weekend. Friday October 28, 2016 marks the latest a game has ever been played at Wrigley Field. That record will be broken on Saturday October 29, 2016 and then on Sunday, October 30, 2016. It all gets a little silly after a while. 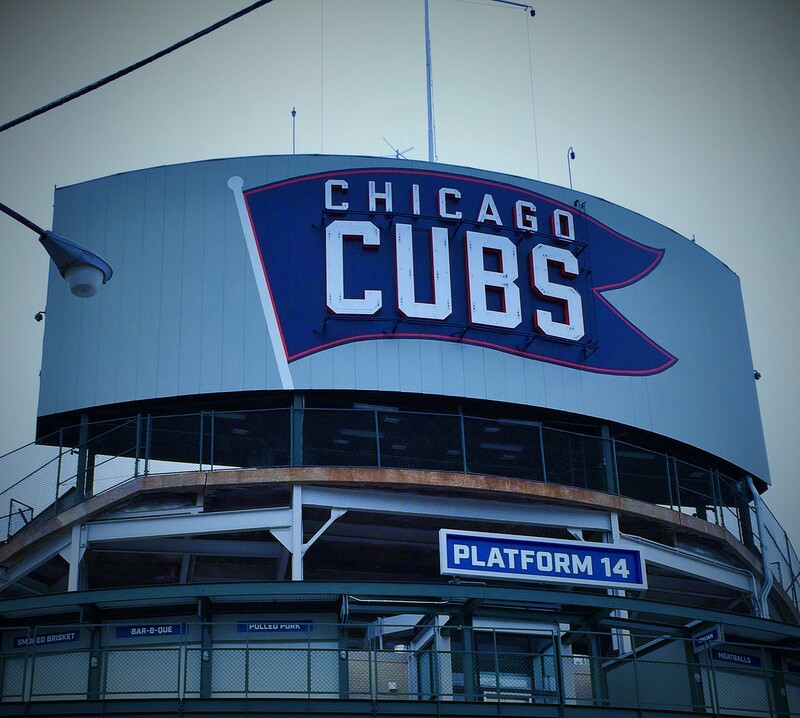 When the dust settles, only one streak may be left standing, first televised day World Series game at Wrigley Field. Yeah, there’s another one too. Two games into the World Series, I remain cautiously optimistic.